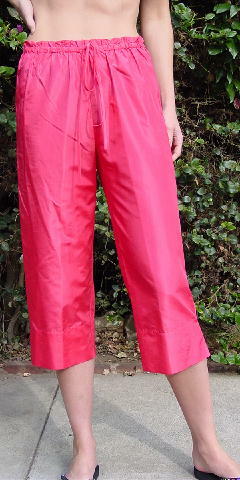 These very bright hot pink pants are 100% silk. They have an elastic waistband with a drawstring. 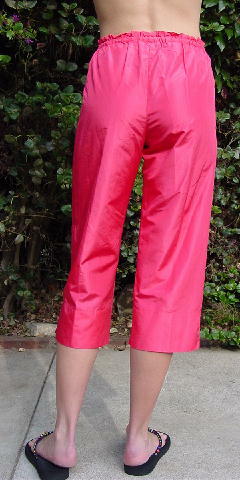 The legs have side seam 3" slits. It was used in a photo shoot with a white Hussein Chalayan tank top with a ruffled midriff. waist to hem 31 1/2"